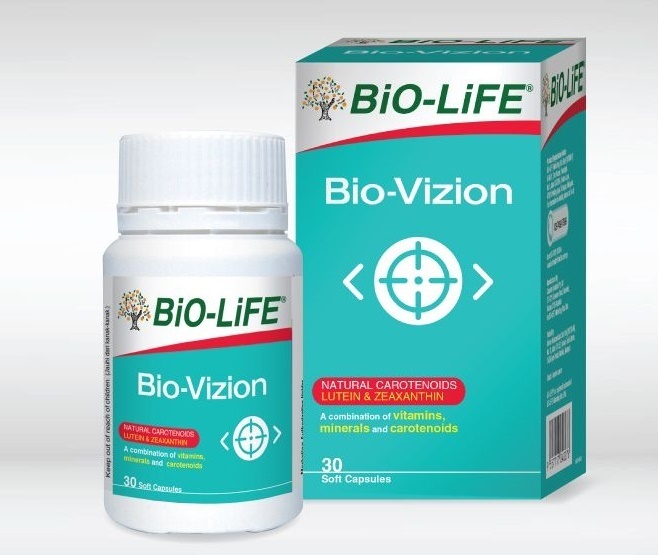 BiO-LiFE Bio-Vizion is a unique formulation, which contains complete eye nutrients for those aged 45 and above. 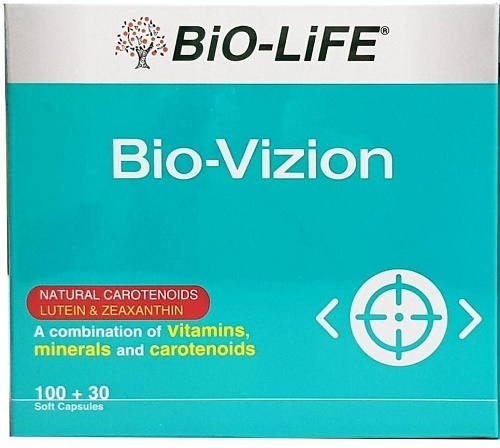 BiO-LiFE BiO-Vizion contains lutein and zeaxanthin preserved in their natural form from marigold flowers that protects the eyes against oxidative damage caused by blue and near-UV light radiation in the macula. In addition to lutein and zeaxanthin, BiO-LiFE BiO-Vizion also provides natual beta-carotene, vitamins C and E, zinc and selenium that can protect the cell membrane and retina against photochemical damage. Adult: One capsule daily with food or as recommended by our nutritionist. 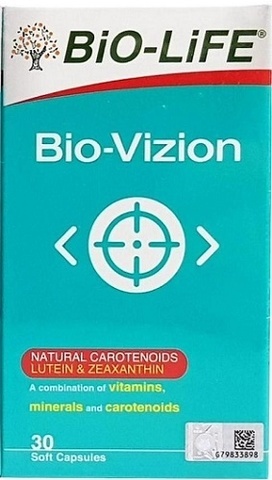 Contra indicated for those who are hypersensitive to any component of lutein- and zeaxanthin- containing products.